A high tensile sheep fence has been proven over decades to be a low cost, reliable, and long lasting solution to contain your sheep. 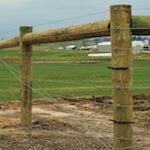 The wide spacing of the posts saves in cost without sacrificing the fences reliability. If you choose a high tensile fence to contain your sheep, chances are high that you will never have to install another fence in your lifetime. 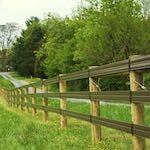 ProFence, LLC has been a family owned business since 1993. We get the job done right the first time. 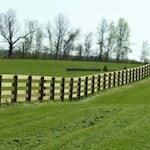 We offer a free Sheep Fence Consultation to help you plan for your new fence. 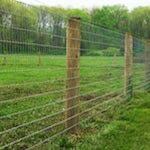 Maintenance and installation of a high tensile sheep fence is relatively simple compared to other types of fencing. 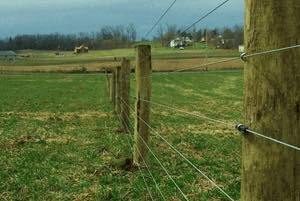 With proper installation and maintenance, a high tensile sheep fence can last up to 40 years. With our installation services, you can be sure your fence has been installed by a team of experienced professional fence installers. 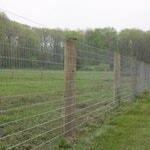 For the ultimate experience in containing your sheep, a high tensile fence can be electrified to make it more secure. This is also a service we provide. 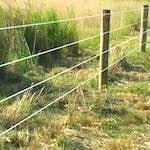 Contact us today for a Sheep Fencing Quote.